For many Americans, the days following Christmas are often filled with trips to the mall, where they exchange the gifts they got for those they would rather have received. It’s no different for U.S. politicians. For example, President-elect Donald Trump has big plans to boost the U.S. government’s spending on the nation’s infrastructure, which is something he really wants, but paying for it is going to be a big problem. Politico ‘s Lauren Gardner describes what’s being talked about behind the scenes in Washington D.C. in advance of Trump’s upcoming inauguration on January 20, 2017. It was supposed to be a big, beautiful infrastructure bill. But President-elect Donald Trump’s pitch for a $1 trillion upgrade of the nation’s roads, bridges, tunnels and airports is already running into potholes as it meets reality in Washington. The overwhelming sticking point, as always, is how to pay for it. Trump’s advisers are so far floating the same kinds of financing schemes that Congress has batted around for years with little success, including proposals to lure private investors or reap a revenue windfall through an overhaul of the tax code. Key lawmakers say they’re in the dark on how Trump’s plan would work — with some conservatives simply hoping that his call for massive tax breaks will provide an economic jolt that makes the hard spending decisions easier. 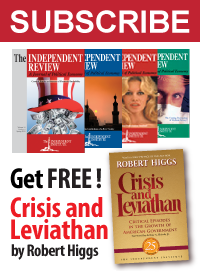 With Washington D.C. being the political swamp that it is, it is a sure bet that no matter what financing schemes are considered, the U.S. government will end up spending far more than it will collect in taxes to pay for it, which means big increases in the federal government’s borrowing and the national debt. In fact, one of the actions that the U.S. Congress will need to take early in 2017 will involve increasing the national debt ceiling by enough to account for its planned new spending, which presumably would include a lot of President-elect Trump’s infrastructure initiative. This is where it would be really nice if there were an exchange for politicians, where they could trade something they have but don’t want for something they actually want more. There may be a way to make that work in 2017. 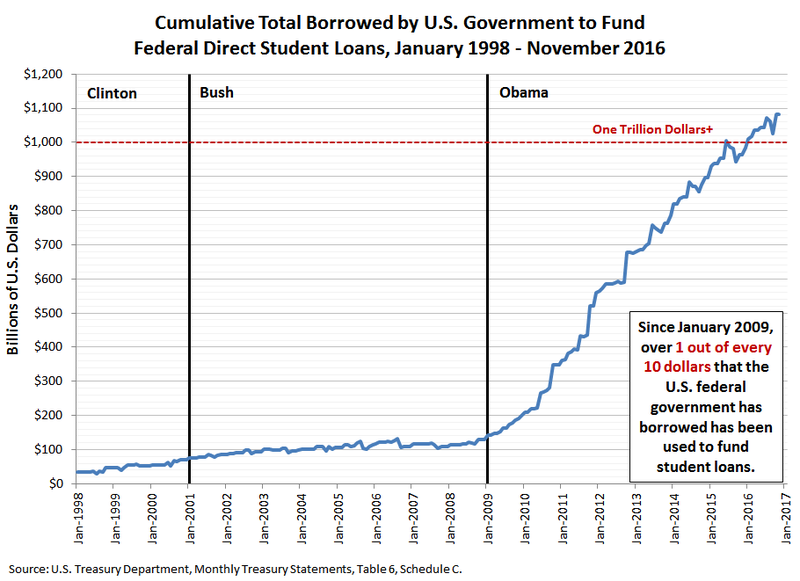 Over the last eight years, the U.S. government has racked up nearly a trillion dollars of national debt to support outgoing President Obama’s decision to get the federal government into the business of making student loans on a big scale. Meanwhile, it is already well established that incoming President-elect Trump would really rather have a trillion dollars worth of new infrastructure in the U.S., but is going to have trouble funding it. 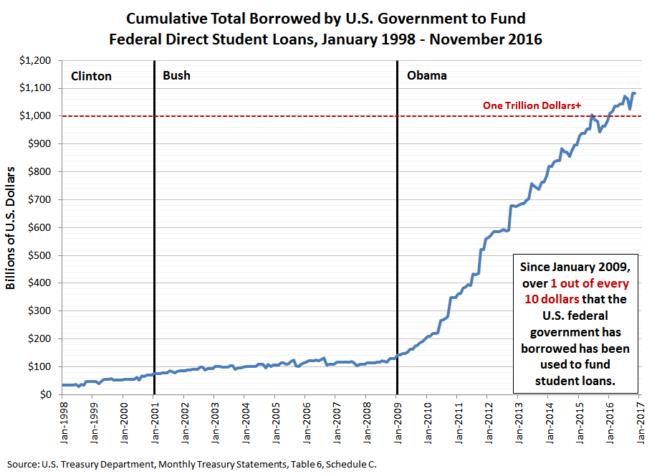 Normally, U.S. politicians would just run up the national debt more, but what if the U.S. government’s student loan business was sold off to financial institutions in the private sector to clear space within the existing national debt limit to accommodate the new spending on infrastructure projects? By packaging the U.S. government’s student loan assets together with its related liabilities, the massive amount of money that the U.S. government has had to borrow specifically for the purpose of being in the business of originating student loans in the last eight years, the U.S. government could potentially erase nearly a trillion dollars of the national debt off its books by selling its student loan business. Having that cleared that much space in its national debt liabilities, the U.S. government would then be able to substitute new borrowing to fund more productive investments with better returns for American taxpayers in the nation’s infrastructure than what it was getting through its money losing student loan business. Best of all, should the new amount of spending to be dedicated to infrastructure be less than the amount of national debt liabilities cleared off the U.S. Treasury Department’s books by the sale of the government’s Federal Direct Student Loan business, the national debt burden of American households would be lessened. 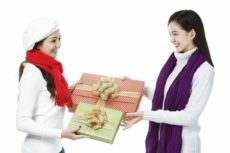 If you could make that kind of deal, where you can get something you would really rather have in exchange for something you really don’t want or need, why wouldn’t you do it?